Have you been craving a Tony Luke’s cheesesteak, but prefer to eat in the comfort of your home? 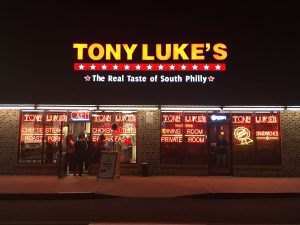 While each Tony Luke’s has a cool South Philadelphia vibe to it and great customer service, there is nothing wrong with also wanting to just enjoy your Tony Luke’s cheesesteak at home. Did you know that you have different ways you can enjoy one of these iconic cheesesteaks at home? Of course, you can order one at the shop and bring it home to eat, but if you enjoy cooking fresh meals, you can also make it yourself at home. Here are two easy ways. Making Philly Cheesesteaks at home has never been easier. Tony Luke has always been open about what all goes into making his popular Philly cheesesteaks, wanting to share the love. Make sure to ask the butcher to cut the rib eye really thin for you. It is a lot harder when you have to do it yourself. Tony Luke prefers to freshly bake his rolls so instead of just using hoagie rolls, you might want to make rolls yourself or even make rolls out of fresh baked French bread. Fry 1.4 to 1.3 pound of the meat on a griddle. Make sure you move it around as you cook. It should stay moist throughout the cooking process and have a gray tinge to it. Heat the Cheese Whiz and keep it warm. Open a roll and grill it until it is a light brown. Assemble the sandwiches in this order: roll, slather cheese on one side, top with sautéed onion and place the meat on the other side of the sandwich. Tony Luke Jr. has also shared other tips for cooking a cheesesteak just like you would get at one of his restaurants. He warns against cooking the meat on too high of a heat which causes it to toughen. Instead cook on a low heat to keep the moisture in. Also never put your cheesesteak on wheat, rye or white bread. Use a nice Italian bread or a French baguette instead. When it comes to condiments, Tony Luke says that you shouldn’t need any if the sandwich is cooked right. There should be no need for any ketchup, mustard, hot sauce or other condiment. Oh and while he only uses Cheese Whiz on his sandwiches, he said that American, sharp and mild provolone can be acceptable alternatives, but never ever Swiss cheese. And to achieve the right amount of melt, make sure to add the cheese right before the meat is done cooking. And while condiments are a no no, freshly fried white or yellow onions can be a tasty addition. He just recommends that you don’t caramelize them. You want them to still have some bite. Also never add raw onions straight to your sandwich. He also advises that Philadelphia cheese steaks should never be greasy so watch your oil use. Just use a small amount of canola oil on your griddle. There is enough moistures from the beef fat that will keep the steak from sticking. For the fully South Philly cheesesteak experience, Tony Luke also recommends that you never eat it with a knife and fork. It is meant to be messy so enjoy all the juicy flavor. Just make sure you have plenty of napkins available. And finally, he always says that you can never eat too many cheesesteaks as long as you don’t go crazy with the Cheese Whiz. 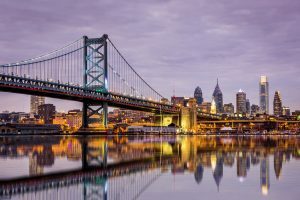 It is a part of Philly culture so go ahead and enjoy one whenever the craving hits whether out on the town or at home. What if you want to enjoy your Tony Luke’s cheesesteaks at home, but are afraid that your version just won’t come out the same? Don’t worry, Tony Luke’s Tony Luke’s is now offering frozen cheesesteaks that can be sent in the mail either to your home or to someone else as a gift. This way you never have to worry that you don’t have all the right ingredients to recreate the iconic sandwich. 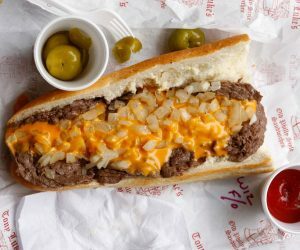 Tony Luke’s has spent a lot of research and development time to perfect its new technology that allows them to prepare the cheesesteaks fresh before freezing so you get the same great taste at home that you would at the restaurant. Once you receive your package of frozen cheesesteaks all you have to do is bake them in the oven for 20 minutes in order to experience the same great sandwich you would get inside Tony Luke’s South Philly shop. These frozen sandwiches are very easy to heat up and no assembly is required either. Tony Luke’s only uses 100% Rib Eye for the steaks and they only buy beef that has no fillers, antibiotics or steroids. The bread is also genuine Philly bread, hand spun and baked in Philadelphia. No rolls are used. Did you know that Tony Luke’s cheesesteaks also make great gifts whether for your favorite foodie or a friend or family member who has moved away from Philadelphia but still craves their iconic sandwich? They also make great corporate gift as well for both employees and clients. No matter the time of year, it is always the perfect time to spread some Philly-inspired love. Tony Luke’s guarantees safe shipping, using high quality custom fitting Styrofoam boxes and special ice to ensure beef stays frozen and safe during cheesesteak delivery. 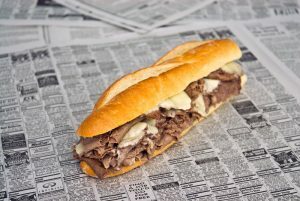 Philly cheesesteaks make unique food gifts that everyone will love. 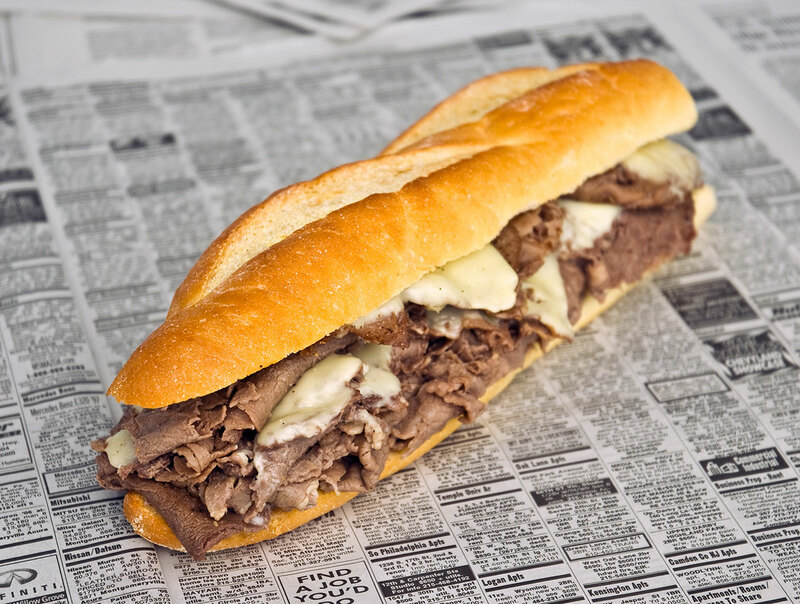 Making Philly Cheesesteaks at home has never been easier! 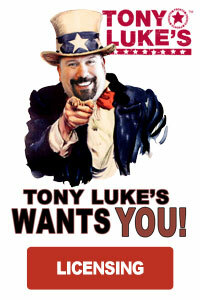 Order your Tony Luke’s cheesesteaks for shipping today.